No matter how vivid the photos or descriptive the lecture, there’s nothing quite like seeing and experiencing another country in person. And, in today’s increasingly global business climate, it’s vital that students be versed in the culture and business practices of international partners. There is much to be learned from seeing how others do it. That’s why, every year, students in the Plastics Engineering Technology program have the opportunity to travel overseas to visit plastics companies and universities and attend a plastics trade show, too. An early morning checkout from our hostel lead to a couple sleepy train rides to Stüttgart. Upon arrival the group split in two, one exploring the city while the other boarded yet another train to the Mercedes-Benz Museum. Once at the Mercedes-Benz Museum, the students were guided through the spiral halls which showcased the many automobiles produced by the company throughout their long history. The students who stayed back from the museum went sightseeing in the city with a couple of professors. First, they went to the Schlossplatz and the palace Neues Schloss. Neues Schloss was the seat of the Kings of Wurtemburg and had multiple neat statues. They also checked out the Schillerplatz, which was named after the famed poet Friedrich Schiller, but today houses many market stalls. For sale at the stalls were a multitude of goods, including exotic fruits and freshly baked bread. The Stiftskirche, next to the plaza, is a beautiful church that was home to evangelical Lutherans in Stuttgart. Johanneskirche is another church the students visited. It had a spectacular view, showcasing a pond full of ducks and a swan. For lunch, they went to a German brauhaus to eat traditional German food, including spätzle. After the tour, the two groups met again at the Stüttgart HBF and proceeded to the hostel. The hostel was perched high on a hill which provided a beautiful overlook of the city. Schlossplatz was a hub for foot traffic as the setting sun lit the city’s small streets just in time for dinner. Shops, restaurants, and historical bullrings created a maze around Schlossplatz. The extra exercise gave way to an early night for the young student globetrotters; although a 6 am wake up call the previous and ensuing day may have been a factor as well. Needing to be at the train station by 8:15 a.m., it was yet another early morning wake-up call. Everyone was reaching for a cup of coffee! By 10:00 a.m., the class reached the Arburg injection molding manufacturing plant in Loßburg, Germany. Upon arrival, everyone received a name tag with their full name. At the facility, we went to a brief video presentation which gave an overview of the company and their current strides within the plastics industry. Following the video, we split in two groups to tour the facility. For a private, family-owned company, their facility was enormous. Everyone was in awe with the size of the facility as well as the project management and creative thinking that goes into running an operation this large. There were automatic robots on rail tracks from the ceiling that would carry parts from one work station to the next. The robots had sensors prevent collisions. Unfortunately, we were not permitted to take any pictures while in the facility. So, you’ll have to trust us when we tell you that it was incredible. At the end of the tour, students received a delicious free lunch. Before leaving, everyone was given a parting gift, an Arburg umbrella. We then boarded a train back to Stüttgart where we would yet again split in two groups. One group would head to the Porsche Museum while the other began their journey to Munich where we will be for the remainder of the trip. A 6:45 a.m. train took us to Neuschwanstein Castle in Fußen, Germany. The castle was built for King Ludwig II in 1869 and took many years to build. Unfortunately, he only lived there for 172 days before he was found dead in a nearby pond. To this day, his death is still a mystery. Neuschwanstein became open to the general public within six months of the Kings passing. Since then, it has grown to be a major tourist attraction in Southern Germany. (I wonder if he was killed so they could make a small fortune on tours! LOL.). Following the trip to Neuschwanstein groups parted ways to explore Munich with many students eating dinner at the original Hofbräuhaus. Students had yet another early morning wake up call—this time for Rosenheim University of Applied Sciences. Every student was in shock upon learning that there is no tuition for students of Rosenheim. The only fee is 52€ per semester for activity and facility fees. After viewing two presentations, the students split into two groups to tour the plastics engineering facilities. Spread across a few different buildings, the labs consisted of a few different injection molding machines, multiple different extruders, thermoformers, a few stamping presses, and something that was new to many of us, a wood chipper and grinder for wood fiber additives. The plastics program itself seemed very research-oriented and heavily influenced by industry needs. The tour was interesting and it was interesting to learn how another plastics program runs on the other side of the world. Many of the students took the morning to visit the nearby Dachau Concentration Camp from WWII. The weather for the visit was appropriately somber and heavy and the students carried that with them while trying to imagine the horrors that took place on the very ground on which they walked. For the first time on the trip, there was no jubilant conversation or laughter, just simple and respectful silence. Following the trip to Dachau, the students were granted the day to explore Munich and collect souvenirs for their loved ones back home. There was a mandatory check-in at 6:00 p.m. after which students were led to their final dinner where the professors and Chancellor Ralph Ford were present! Finally the moment we’ve all been waiting for… Day one of the K-Show. After two short train rides to Düsseldorf, we arrived. Unsure of what to expect, we were in for quite the surprise when we saw the size of the company booths. Many of which are larger than classrooms on campus at Behrend! With the show spanning 17 buildings, there are endless places for the 33 Behrend plastic enthusiasts that came on the trip to get lost in a plastic engineering wonderland. Many injection molding companies offered samples of parts they were running fresh off the press. A couple of the most popular items include a collapsible step stool and watch from Arburg. There is so much to do and see; it is impossible to see everything in one day. This was our second day at the K-Show. Even with eight more hours to spend, we still did not see every booth. Each building we went to, we saw different technologies. The size of the show still baffles everyone. The automation was one thing that blew everyone away. One automation company had a display of the capabilities of their robots where the robots were dribbling and shooting basketballs. Injection molding machine manufacturers were a hit with the class as they were not only revealing new presses but also supplying everyone with cool gear such as watches, stools, screwdrivers, personalized cups, bottle openers, performs for 2-liter bottles, and countless other items. One thing that many of the students seemed to dislike was the amount of civilians at the show that did not truly appreciate everything. It seemed they were just there for the free gear. Also, with many of the machines, many of these same people were disregarding safety guards and shoving their hands in harm’s way. Our shock was probably reflective of the amount of training we have all gone through, both at Behrend as well as at our internship sites, where safety is stressed more than anything. Overall, the K-Show was a great experience and we all are itching to go back in four years to see the emerging technologies after we have been in industry for a few years. It was certainly an eye opening experience as well as a great learning experience. Many, if not all, of the students had the opportunity to receive beneficial information about their senior projects from some of the industry’s most experienced and knowledgeable experts. James Pander ’12, seated, and Dr. Jason Bennett, associate professor of chemistry, photographed in 2011 at Penn State Behrend. James Pander ’12 knew he wanted to be a scientist before he even knew what that might entail. Pander, who graduated from Penn State Behrend with degrees in Chemistry and Mathematics and minors in Physics and Statistics, recently successfully defended his Ph.D. at Princeton University, where he also earned a graduate degree in Chemistry. He has accepted a research position at the Singapore Berkley Research Institute for Sustainable Energy, and will be moving overseas as soon as all his travel documents are in order and approved. We caught up with James before he left to learn more about his future plans, his time at Princeton, and how his Penn State Behrend education helped him get there. What do you like about chemistry? Out of all the fields of science, I think chemistry is the most interesting because everything is chemistry. Chemistry occupies this interesting space between biology and physics. You can look at the chemistry of living things with biochemistry, or you can delve into the quantum mechanical world to look at the fundamentals of how atoms and molecules interact with each other using physical chemistry. And, in that way, you have a subject that has the flexibility to cover almost everything. Did you do any research projects with faculty members while you were here? Yes! I think that research is the single most important part of any science education. In lecture and lab courses, there is always a correct answer and a specific series of steps you take to get to that answer. That is not how the world really works. Actual science is much more open-ended. You have to figure out what information you are trying to find, how to design an experiment to best find that information, and how to interpret your results. It’s so much less straightforward and so much more exciting. While at Behrend, I worked with Dr. Jason Bennett, associate professor of chemistry. I started in the second semester of my freshman year and worked with him until graduation. My advice for anyone interested in science is to start doing research work early! Talk to a faculty member and jump in. It’s the best way to supplement your education and to get to know the faculty. Dr. Bennett was an amazing mentor and I certainly couldn’t have been as successful as I have been without his support and the support of the rest of the chemistry department. Was Princeton your first choice for graduate school? Overall, when I looked at the departmental atmosphere, the professors who work there, and the location, yes, Princeton was my first choice. Do you think the research experience you had at Behrend helped you get into Princeton? There is no doubt in my mind that my undergraduate research experience was a big benefit as I was applying to graduate school. In graduate school, your primary job is to do research (classes and teaching are secondary) so there really is no better way to prove to them that you can be successful in that type of environment. The best thing about Behrend is that you work directly with professors on research work, and that mentorship is invaluable. Did you feel Behrend prepared you for an Ivy League graduate school? Definitely. Graduate school was by far the most challenging thing I’ve ever done. A small fraction of people continue on to post-graduate education, so you naturally end up with a group of really smart individuals from all over the world. And that is really intimidating! You quickly go from being one of the best to middle of the pack. It’s very comparable to the transition between high school and college, and just like during that transition, the most important skill is knowing how to learn. Your job in college is to gain a broad knowledge of a subject, whereas in graduate school your job is to become an expert on a very, very specific topic. So you end up going from having virtually no specific knowledge of a field to becoming an expert in a few years, and most of that is fairly self-focused education, so you need to know how to learn. I definitely think that Behrend did a great job at preparing me for that, even if though it felt overwhelming at first. On a lighter note…how did Princeton’s winters compare to Behrend’s? It was a nice change. Winters got very cold in New Jersey, but there was nowhere near as much snow, which was nice. My least favorite part of winters in Erie was driving in the snow. You just successfully defended your Ph.D. at Princeton, correct? Yes. It was a really surreal experience. You spend four or five years working on one specific problem and then it all culminates in writing your thesis and then trying to summarize what feels like your life’s work into a single presentation, which means so much gets left out! After I was done, everyone was congratulating me and calling me doctor, and I just felt like, wait, I’m the same person I was an hour ago, nothing’s really changed. But, in reality it’s the biggest accomplishment of my life so far. It didn’t really sink in right away. But when it did, it was a great feeling. I’m really proud of the work that I did in graduate school. I’ll be working for the Singapore Berkley Research Initiative for Sustainable Energy. It’s a collaborative effort between a few different institutions, including the National University of Singapore and University of California, Berkeley, to research different aspects of sustainable energy with the goal of using solar energy to convert carbon dioxide into fuels. It’s an exciting opportunity! When will you start there? Hopefully soon. I’m navigating the visa process right now, so as soon as the Singapore government approves that, I’ll be able to move. Have you always wanted to work overseas? No, not at all! The thought had never really crossed my mind, but in graduate school I was given the opportunity to make friends with people from all over the world. Several of them are prolific world travelers and they had a big influence on me. It’s really exciting to travel and see the world, and it really opens your eyes to different cultures and ways of life. It helps you to grow as a person and I’m excited for more of those types of experiences. I’d like to go into industrial research and development. Graduate school is great because you’re adding to the body of knowledge in your field, but in an academic environment, you rarely get to see the direct fruits of your labor. I’m interested in industry because I think I’ll get more of a sense of finality to projects because there will always a specific product in mind. I just want to thank everyone who has helped me to get where I am today: My parents for teaching me the importance of education and helping me get through college, the faculty members at Behrend—especially in the Chemistry and Math departments—who were all wonderful teachers and mentors, and my colleagues throughout graduate school. We landed in Frankfurt, Germany, at 6:00 a.m. We quickly boarded a train to Cologne (Köln). Upon dropping off luggage at our Youth Hostel, students enjoyed the day out discovering Cologne. A staple of the city is the Cologne Cathedral where it is claimed the three Wise Men are buried. The cathedral is open to the general public so many students went in to appreciate the walls of stained glass and the rich history and sanctuary of the cathedral. Another large attraction where students spent some time was the Museum Ludwig across the square from the cathedral. This art museum is home to three floors of artwork with a strong focus on pop art. The main attraction of the museum was that it is home to over 50 Pablo Picasso pieces. Aesthetically beautiful cobblestone streets lead to many venues and bars where students found delicious meals of bratwurst and doner kebabs. Today marked the second cultural activity day where students were permitted to travel in their own groups across the city doing activities of their choice. With about ten hours under our belts in Cologne, students have already become more comfortable in the environment and getting around the local area on their own. One group traveled to the nearby Kölner Zoo. Another larger group traveled to a soccer match between Bayer Leverkusen and Hoffenheim. And multiple groups went to the Shokoladen Museum and the Cologne Cathedral with a few groups climbing to the top of the cathedral. One student remarked “the soccer game was a great experience, the energy in the stadium was intense, and it was interesting to see how a different country passed their free time.” The team that they were supporting was Bayer Leverkusen, but they lost after ninety minutes. After arriving in Cologne, they learned that Leverkusen is not the home team. The scarves purchased from the game that represented Leverkusen were quickly removed! At the Shokoladen (chocolate) Museum students enjoyed plenty of free samples of Lindt chocolate. There was also an exhibit of chocolate rotational molding that really grabbed the groups attention as it is a similar process to plastic rotational molding. On Thursday, Oct. 20th, thirty-three PLET majors will begin a 10-day trip to Germany. We asked them to send us some photos and tell us about their journey. In this blog post, students Ian Duchene and Eric Santini give us a preview of what the group will be seeing while overseas. For the past eight weeks, we students have been meeting in and out of class preparing for the adventure that we will be embarking on. Upon arrival in Frankfurt, Germany, at 6:00 a.m. on Friday, October 21, we will be gathering ourselves for a tiresome first couple days of fighting off jet lag. The day will begin by boarding a train to travel to Cologne or Köln. The students have been given both Friday and Saturday as Cultural Tour days where they have the flexibility to go to specific museums or local attractions of their choice. Sunday, October 23 and Monday, October 24 will be spent entirely at the K Show. For those who are unfamiliar with the K Show, it is the world’s largest plastics conference that only takes place once every four years…Yes, it is the Olympics of Plastics Engineering. This conference covers more than 170,000 square meters of floor space with companies presenting new technologies and systems that you should expect to see released the next four years in the industry. This is a great opportunity for all of the seniors attending the trip to network on a global level and potentially line up interviews for full time jobs upon graduation in December or May. After our time at the K Show comes to a close, we will be traveling to Stüttgart, Germany on Tuesday, October 25 to visit both the Mercedes Benz Museum and the Porsche Museum. The following day will be spent touring Arburg, an injection molding machine manufacturer, a company that has two machines in our lab here on campus. Following the tour, we will then be travelling to Munich or “München” for the final three days of our trip. On Thursday, October 27, we will have another cultural day to explore the city. 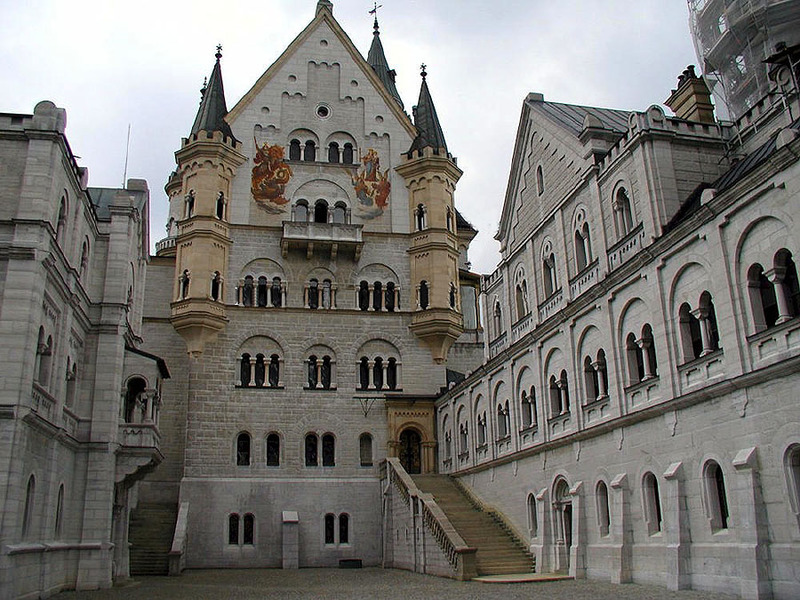 Many students are planning to go to Dachau, a nearby Nazi Concentration Camp while others are planning on travelling to Neuschwanstein Castle. On Friday, October 28, we will tour the University of Applied Sciences Rosenheim. The final day of the trip, October 29, will be another cultural day for students to visit any remaining attractions they may have wanted to see, and to prepare for the trip home the next day. Check this blog in the next 10 days and follow us on our journey! Dr. Kathleen Noce, senior lecturer in Management Information Systems, grew up in a warm, loving home that was a haven for neighbors and friends in need. “My mother was that woman in the neighborhood who all the kids knew they could go to for a meal, a hug, a few dollars, even a couch, if they needed a place to stay for a night or two,” Noce said. Noce said her parents noticed early on that she, too, was a nurturer. “They saw that I enjoyed helping others and they really encouraged me to do it,” she said. It makes sense, then, that Noce would end up in a helping profession, educating college students in the finer points of MIS and business. But her service to others extends beyond the classroom and into the community, where she serves on several boards and volunteers for a variety of nonprofit organizations, including Boys and Girls Club of Erie which plans to honor Noce on Oct. 19 with the Woman and Youth Award, the highest honor the organization bestows on volunteers. Noce has been a board member and volunteer at the Boys and Girls Club of Erie for more than twenty years. In addition, she has helped the club with many of its technology needs through Partnership Erie, a nonprofit outreach center of the Black School of Business that provides web design, web marketing, and content management services for free. The majority of the work is done by students in MIS387 Website Design and Administration who are learning to design and manage websites. It’s a win-win: nonprofits benefit from the tech help and students get hands-on experience working with real clients. Since Noce established Partnership Erie at Behrend in 2001, students have built more than 125 websites for a variety of nonprofit organizations. Noce concedes she had an ulterior motive in forming Partnership Erie. It worked, even inspiring some students to take on personal volunteer projects for their clients outside of the classroom. She regularly hears from alumni who thank her for introducing them to the personal satisfaction to be found in helping others. In addition to Boys and Girls Club of Erie, Noce volunteers at the Quality of Life Learning Center, the Islamic Center, Butterflies for Kids, Erie Youth Leadership Institute, and the Italian-American Women’s Association, in addition to other organizations. In twenty years working with the Boys and Girls Club of Erie, Noce said she has witnessed firsthand the powerful impact of community service. Noce is grateful for the opportunity to serve. “I’ve led a blessed life,” she said, “so If I can help someone in need, my life is richer and I feel like I’m fulfilling my purpose for being here. Humans have forty-three muscles in their face that can be combined to create 10,000 unique expressions. Imagine programming a computer to interpret all of them. And, when you’re done with that, add in the other factors that effect social interaction – body language, culture, gender, and more. That’s a word that doesn’t compute for Dr. Ehsan Hoque ’04, a Penn State Behrend Computer Engineering graduate who was recently featured in MIT Technology Review as one of the top 35 innovators under the age of 35. He was recognized for developing two computer technologies— MACH (My Automated Conversation coach) and ROCspeak—that train people to excel in social settings. Hoque has been turning “impossible” situations into opportunities since his undergraduate days at Behrend. His resiliency was put to the test in his final year at Behrend when his team took on a senior design project that they weren’t sure could be done. Not only did the team complete the project—a robot that could see, hear, and recognize people—but they also won the “Best Design” award. So when Hoque was a doctoral student at MIT presenting his work on a computer program capable of gauging a user’s mood, and was challenged to expand it, he didn’t balk. “After demonstrating my research at a workshop, a gentleman approached me and said he was very awkward in social situations and wondered if my technology could be used to create some sort of automated program that he could use at home to practice making eye contact and improve his social skills,” Hoque recalled. As the primary caretaker of his brother who has Down Syndrome, Hoque had witnessed first-hand how difficult social interactions can be for some people. He also suspected that social stigma and shame kept many from seeking help. Hoque, now an assistant professor of computer science at the University of Rochester, started working on MACH, a system for people to practice social interactions in face-to-face scenarios with a 3D character that can see, hear, and make its own decisions in real time. In MACH, a virtual businesswoman has been programed to recognize the user’s expressions and statements. She can also nod, smile, and even ask questions. At the end of the conversation, the businesswoman gives users feedback about their interpersonal performance, including body language, intonation, and eye contact. The program went live in 2015 and, to date, more than 20,000 people have used it to improve their social skills. Users can choose to share their results for research purposes and more than half have done so. Hoque uses the data to further improve the program. Hoque also designed a pared-down mobile version, Rocspeak, free for anyone with Internet access to use. There’s no animated character; instead, it records video and sends you a report on various aspects of your performance, such as speed of speech, pitch, intensity of smiles, and how often you repeat wrds. Applications for MACH and Rocspeak have gone far beyond the original intended audience. Hoque said his tool has been used by all kinds of people, including customer service representatives, nervous students with looming classroom presentations, and individuals simply preparing for a big date or a job interview. It can also help those who have social anxiety or challenges, such as those with Asperger’s. Hoque, who earned a master’s degree from the University of Memphis and a Ph.D. from MIT, said he enjoys being able to use his skills to make a real-world impact. “I have these advanced degrees and technical skills and, if I can use those to solve problems for people, then it is knowledge and time well spent,” he said. Check out Hoque’s Penn State Behrend senior project presentation: VisionPSU, a human interactive robot (below). Also, peruse these vintage photos, where you may recognize some School of Engineering faculty members, including Dr. Ralph Ford, now Penn State Behrend’s chancellor.